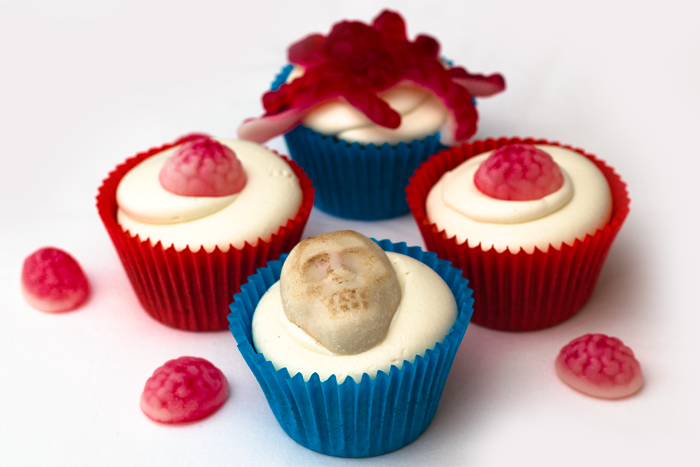 Halloween is pretty close so I thought I would have a go at decorating some cupcakes for the spooky season. They would be a great alternative to sweets to give as treats to those that come knocking for trick or treats! 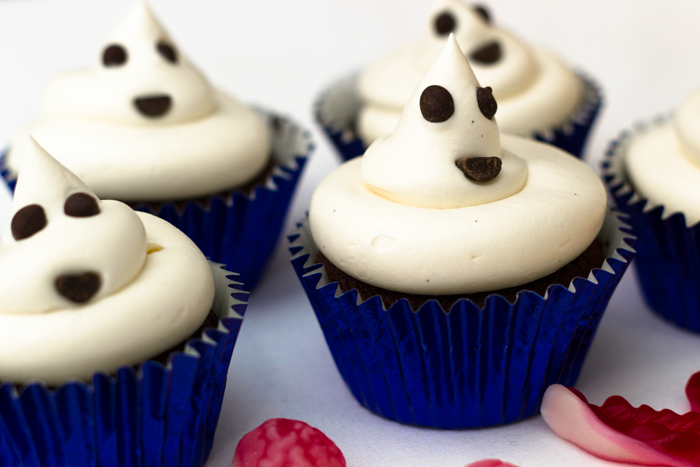 They are so easy – children will love making these super cute friendly ghosts! 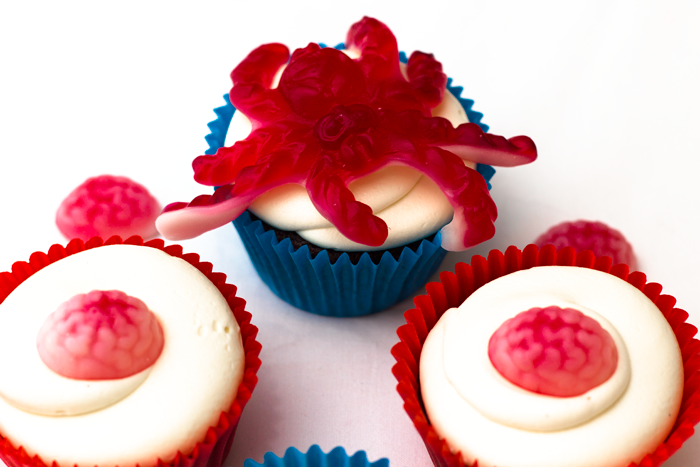 For really young children you could buy some spooky sweets to place on top of the cupcakes like these jelly brains (found in the pick ‘n’ mix at Wilkinsons), spiders and chocolate skulls. Perfect if you have very little time….but to be honest, the ghosts take seconds too. 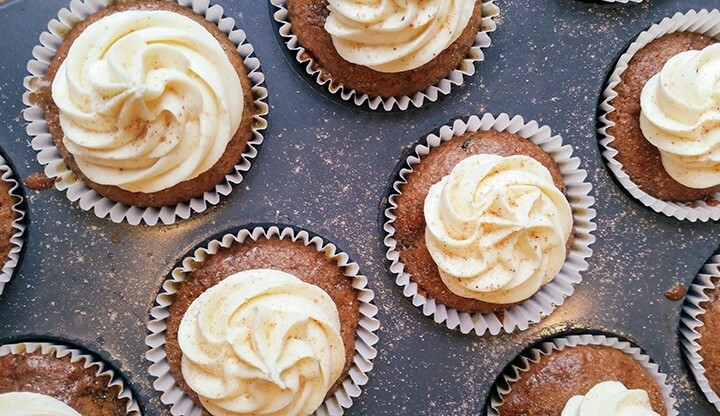 You can make any flavour cupcake – I used by Ultimate Triple chocolate cupcake recipe as they are bound to go down well with any child. But you could make a simple chocolate cake with vanilla frosting if you are short on time, or if the children are baking the cakes too. 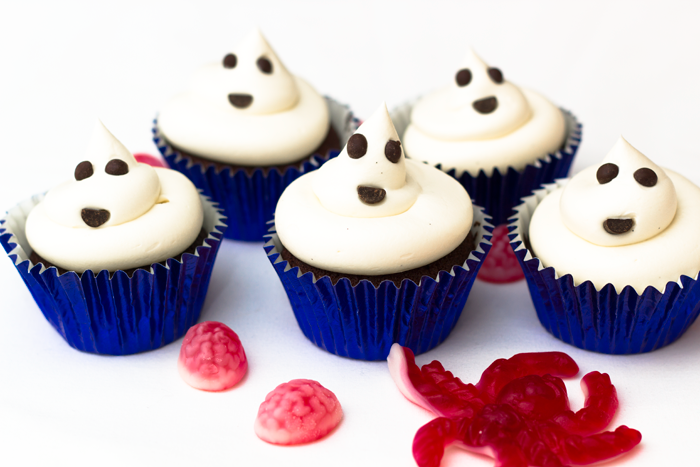 To make the ghosts pipe the frosting nice and high on top of the cupcake and press in 3 chocolate chips for the eyes and mouth – I told you it was easy! This Halloween I’m hosting a ‘Come Dine With Me’ style dinner party…I think I will need to make something a little more grown up!